What is a manager dashbaord? Know more about Manager Dashboards and how they function. 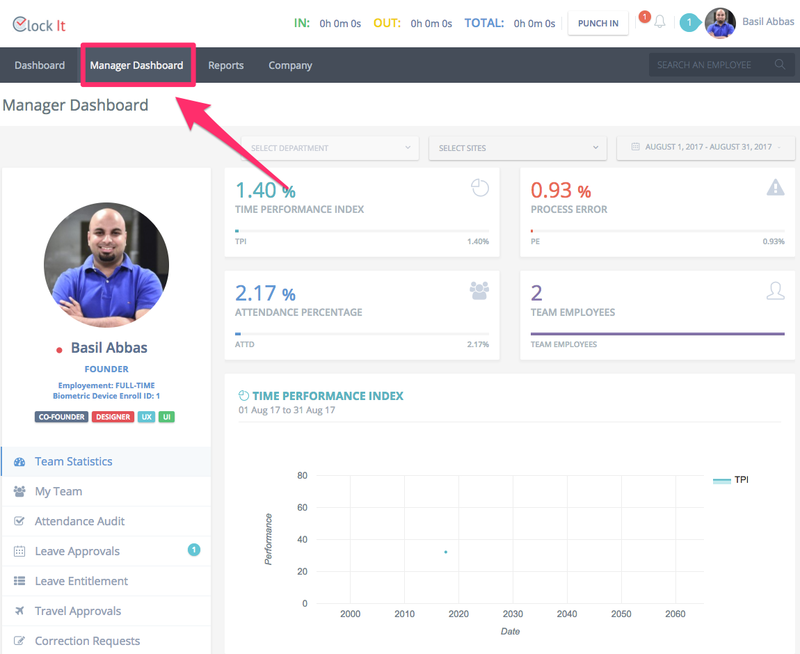 A manager dashboard is a central dashboard for all managers. The Manager's Dashboard shows data only for the manager's team. You can access the manager dashboard from the top menu or from My Profile > Manager Dashboard. Note: The manager dashboard will be disabled for users that do not have any users reporting to them. A manager's is defined a user who has other users reporting to them. You can set the reports to person when you create users. Know more about creating users. A user will automatically become a manager if they have even one user reporting to them.